President Barack Obama is slated to speak at Nike&apos;s campus in Beaverton, Ore. today, and the talk is set to have serious implications in regards to international trade. In a recent press release from Nike, the brand says that Obama is visiting the company to promote the Trade Promotion Authority and Trans-Pacific Partnership, which the brand says will help further develop its products in the U.S.
There&apos;s also something waiting for Obama in Oregon that&apos;s not just a crowd of excited reporters. Parker let on in an interview with Bloomberg TV that there will be a Jordan MTM sneaker presented to the President. Designed by the trio of Mark Parker, Tinker Hatfield, and Michael Jordan, the sneaker is said to be red, white, and blue and made at Nike&apos;s campus. Parker also stated that Obama would receive a pair of one-of-one Air Force 1s and what seems like a pair of Made in USA Flyknits. The visit, obviously, has a bigger impact than the sneaker being presented, but don&apos;t be surprised if many are tuning in this afternoon just to see what the product looks like. Newly leaked images from Twitter user @dmoney23444 reveal what could possibly be Jordan Brand&apos;s MTM initiative. 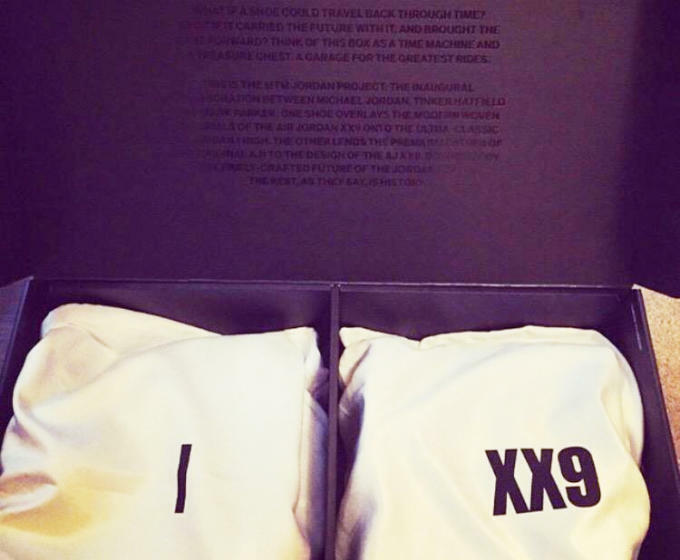 A collaboration from Nike CEO Mark Parker, designer Tinker Hatfield, and Michael Jordan, the project appears to be a sneaker pack featuring the 1 and XX9. Underneath the lid is tonal messaging that mentions the "MTM Jordan project" as an "inaugural collaboration between [Jordan, Hatfield, and Parker]". It&apos;s not yet known if this is the exact MTM sneaker that Parker referred to in his Bloomberg TV interview, but it looks like the project could be larger than simply a one-off sneaker for President Obama. It looks like President Obama also walked away with a special pair of Air Jordan 11Lab4s from his visit to Nike HQ, which came complete with a custom box. If you look closely on the tongue the Jumpman has also been replaced with the Presidential seal. It&apos;s safe to say Obama now has the waviest Nike collection of any president ever. 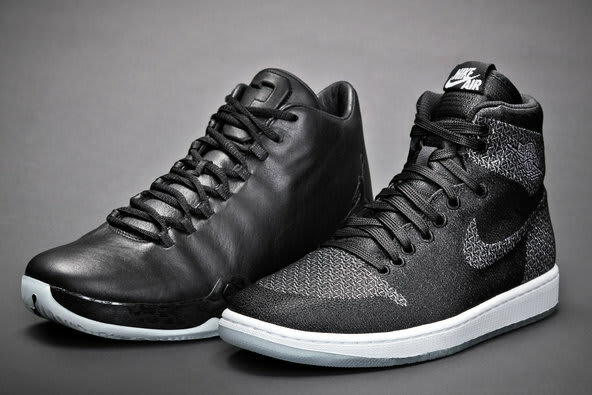 UPDATE (May 29, 2:00 p.m.): The first official photo of the Air Jordan 1 & XX9 "MTM" collection has been unveiled. After weeks of anticipation, T Magazine brings us the first look at this pack and reveals that the two silhouettes have swapped their traditional materials. The Air Jordan 1 is constructed entirely of the XX9&apos;s signature FlyWeave, while the XX9 lifts the AJ1&apos;s buttery leather for a seamless look. "The MTM is a great way to celebrate the 30th anniversary of the Air Jordan franchise. It was a lot of fun to work with Tinker Hatfield and Mark Parker on reimagining two of the best shoes we have ever created," said Michael Jordan. But wait, there&apos;s more — Mark Parker hinted at another "MTM" offering in the future: "We’re already working on the next MTM project, which will push Jordan to a new place." These are slated for a June 13 release at NikeLab P75 Paris as a two-sneaker package for $700. A global online release will follow on June 26.